The Supercheap Auto Bathurst 1000 will officially kick off today as the V8 Supercars transporters roar into town. The transporter parade - a favourite among fans - will descend on Bathurst at 11.15am, with the impressive B-doubles making their way along Williams Street to Kings Parade. 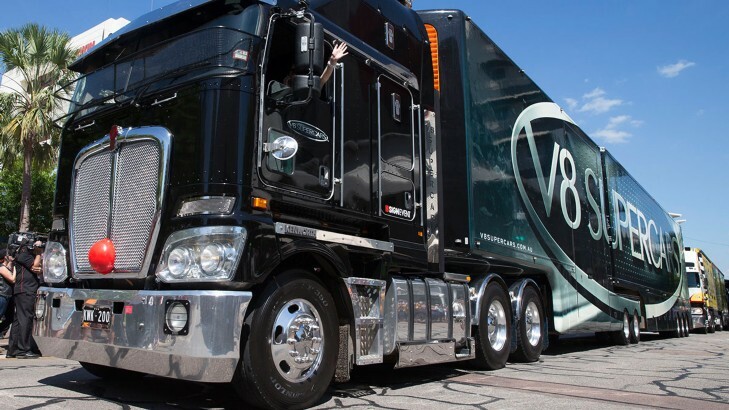 With fans making lining the road to salute the V8 Supercars transporters as they roll into town every year, Transport and Logistics Coordinator Jason Routley - who drives the V8 Supercars transporter - said it's an event not to be missed for race goers. "Bathurst is obviously the spiritual home of motor racing, so it's a pretty special place to come to," Routley said. "All the locals have the town nicely presented and full of colour and the reception is amazing, it really transforms when we roll into town." "It's so densely populated you have to take it easy going through town! It's good, you can take it all in and put on a good rolling display for the crowd, who have come from near and far to see the convoy." Everything is in one convenient location for fans, with the official off-track V8 Supercars signing session following the parade, from 12.15pm to 2.30pm on Kings Parade. Tickets are still available for this weekend's event - click here for more on the Supercheap Auto Bathurst 1000.